A combination of nutrient-rich ingredients makes Foxbrim's Total Hair Repair Oil a must-have this winter! - Susan Said... WHAT?! A combination of nutrient-rich ingredients makes Foxbrim’s Total Hair Repair Oil a must-have this winter! We are a culture obsessed with hair. And, I am one of the worst offenders! Whether I am trying to replicate Gwyneth Paltrow’s simple, ironed style or Charlotte Le Bon’s bouncy ringlets, I always seem to be fighting a battle with my locks. Blow dryer, flat-iron, or curling wand, the barrage of heat styling leaves my hair damaged, dry, and unruly. Since not only heat tools, but products and styling itself all conspire to rob hair of its essential oils, I’ve taken the recommendation of top stylists and shampoo only every other day. And, on “off days” I leave the styling tools in the cupboard. Plus, I’ve been more diligent about getting regular trims. All of these techniques help, but the biggest change I’ve made is to incorporate hair oil into my hair care routine. A great one to try is Foxbrim’s Total Hair Repair Oil. What sets it apart from some other products, is that it combines several nutrient-rich plant oils to effectively restore hair’s shine and silkiness. Sunflower Oil which adds sheen and helps to control frizz. Foxbrim’s is the “total package” for hair that has become dull, lifeless, and dry. To apply, simply spray into wet hair, comb through thoroughly, and style as usual. For extra frizz control, a small amount can be added to styled hair, as well. After use, hair is dramatically shinier, bouncier, and softer. I love it! Plus, the combination of oils is very lightweight, so the heavy, greasy feeling that other intense treatments sometimes leave behind is virtually non-existent. In addition to Total Hair Repair Oil, Foxbrim also offers a host of all-natural and organic beauty care products, from Youthful Radiance Eye Cream, to Vitamin C Lotion, to Retinol Cream, plus so much more. To see the entire line, visit Foxbrim. Joyo laser cut wooden cuff bracelet. Retail $65. Ends 12-4-2014! Try Schick Hydro Silk™ for the smoothest shave of your life! Smart giveaway! The bra-Zing solves the problem of the errant bra strap... beautifully! I found these sweet bracelets at Penny Auctions Canada! What will YOU find? FACES Beautiful Brush-On Liquid Mineral Makeup provides beautiful, all day coverage with no mess! Separator image Posted in WOMEN'S HEALTH & BEAUTY and tagged with Foxbrim's Total Repair Oil, Susan Conforte McNeill, Susan Said...WHAT?! fashion beauty style. Girlfriends’ gift exchange? 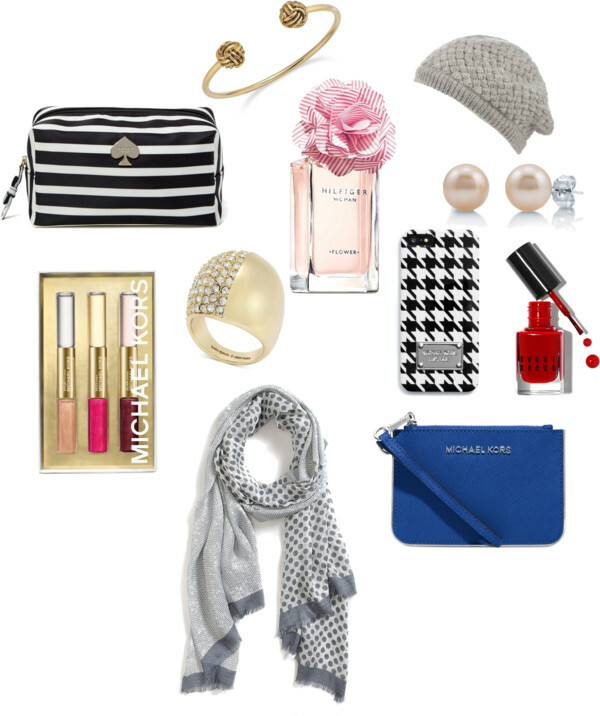 Here are my favorite fashionable gift ideas for $50 and under! SinfulColors’ dazzling nail polishes for Holiday 2014 make perfect gifts… but I want some for myself!